DRIVER: 13 degree oversized 460cc titanium matrix driver head with MOI design features a deep face to promote less spin for explosive distance and accuracy. Fitted with a high quality MacGregor graphite shaft. FAIRWAY WOOD: A low profile fairway wood that can be used from the tee or fairway with ease. The low centre of gravity helps get the ball in the air to provide a high long ball flight. 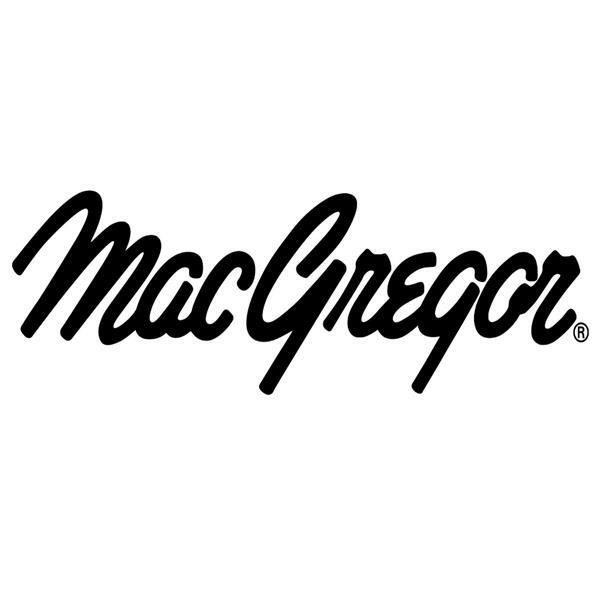 Fitted with a high quality MacGregor graphite shaft. HYBRID: A deep centre of gravity makes this utility club easier to use than the traditional long irons. The contoured sole design allows the club head to glide through even the thickest of grass. Fitted with a high quality MacGregor graphite shaft. #6 – SW IRONS Oversized deep under-cut cavity back design irons combined with a large sweet spot gives increased distance as well as overall club stability on ball contact. Fitted with a high quality MacGregor steel shaft. MALLET PUTTER: A mallet style cavity back putter head with face insert delivers a responsive feel with less bounce. 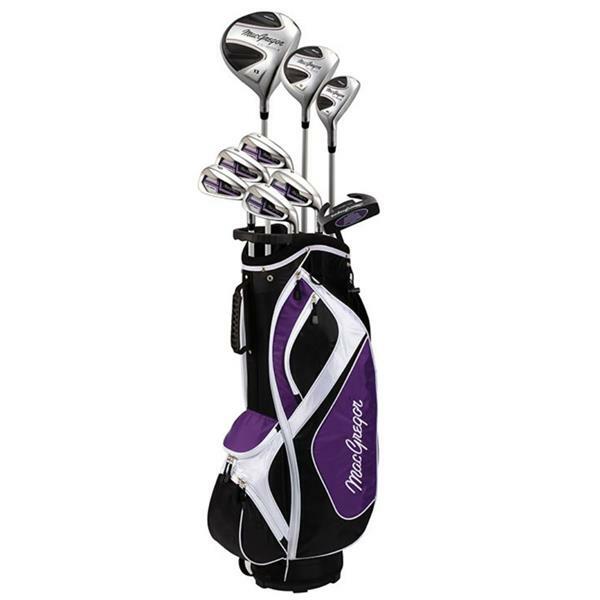 DELUXE CART BAG & HEAD COVERS Made from a very durable nylon material the cart bag features a comfortable single harness carry strap. A grab handle to assist locating the bag onto your golf trolley and various pockets for your accessories. Driver, Fairway wood and Hybrid head covers to protect the clubs whilst in the golf bag.